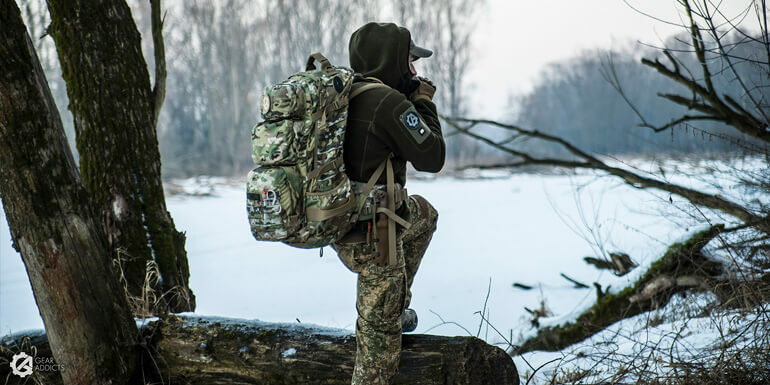 Two new modular backpacks, intelligently designed combinable chest rigs and plate carriers with fast drop system and subtle bag series for technical deployment vehicles expand the collection from the Dasinger manufacturer of professional military and police equipment. The TT luggage line will be expanded in 2019 with a trolley enhanced with backpack function that can service as carry-on luggage. The TT Modular Radio Pack was developed especially for radio and communication units. The main compartment of the 25 liter backpack is equipped with an adjustable holder suitable for radio models PRC 117 F, TRM6020/21, and SEM70. Cable outlets in the shoulder straps ensure secure handling. As for all modular TT backpacks, the interior is lined with Molle Velcro, thereby offering individual options for configuration. There is a compressible flap for the helmet, jacket or other item of equipment. The hip belt for the backpack can be removed and used separately as a Warrior Belt. The modular deployment backpack TT Modular Pack 45+ is designed as a larger version of the TT Modular Pack. The volume adjusted, is equipped with an adjustable carrying system. The laser-cut hip belt can be used separately as a Warrior Belt. The large front loader also offers a spacious, removable lid compartment and a removable, adjustable gusset pocket on the front. The Molle interior lining matches the TT Modular Pack 30, and like it, the TT Modular Pack 45+ also comes with attached pouches and an attached weapon holster. For tactical deployment vehicles, starting in 2019 there are modular panels and bags available for attaching to and in front of vehicle seats, on headrests, and on sun visors. The large TT Modular Front Seat Panel is attached vertically behind the front seat – optionally also horizontally behind the rear seat. It features Molle Velcro straps for individual configuration and a removable weapon holster with quick release system. The TT TacVec Container for holding magazines, water, first aid equipment, or tools is mounted to the front seat and can be pulled out with a handle. 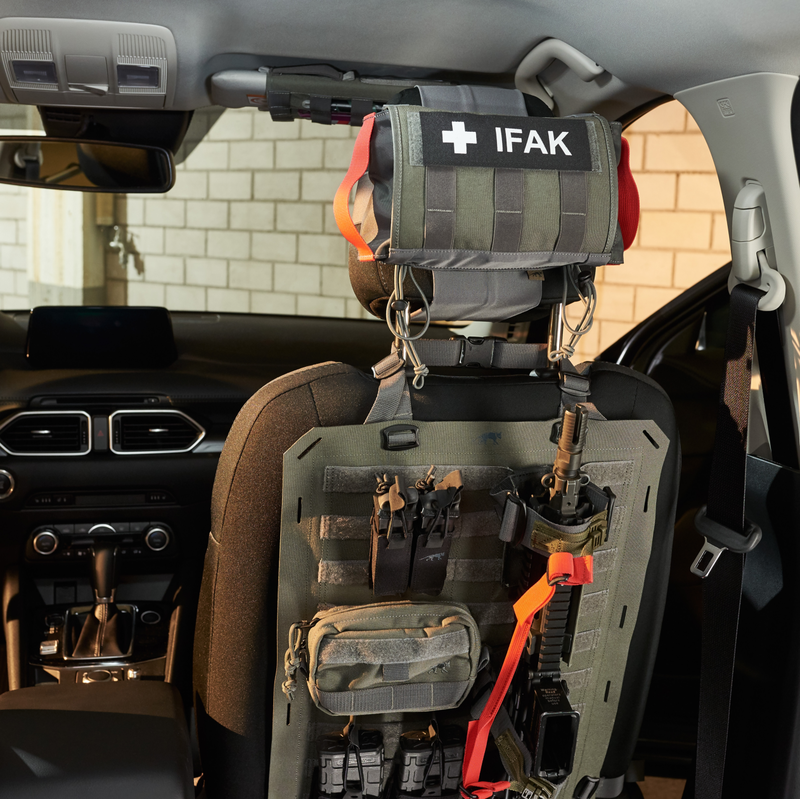 The TT Head Rest IFAK can be attached to both headrests, and in an emergency it can also be pulled out in either direction. 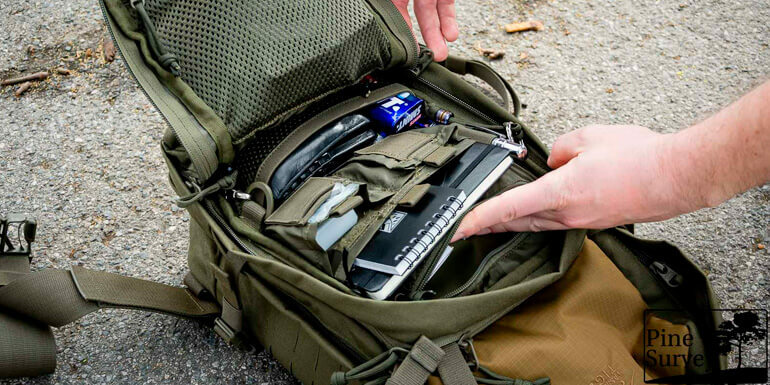 The TT Sun Shade Cover offers quick access to ID and pens, and it has a Molle side for individual configuration. The TT TacVec Support Bag with removable shoulder straps and 9 liter volume capacity can be used for holding tools or similar items. With the TT Combi Rig QR, Tasmanian Tiger presents a laser-cut adapter platform with quick release system. The rig is equipped with fixed, compressible double magazine pouches and offers the option of inserting protective plates in the front and side pockets. Likewise, the newly developed TT Assault Pack, a flat 12 liter backpack with adaptable shoulder straps installed as part of the back, can be equipped with an inserted protective plate. The TT Modular Rig, developed especially for deployment in hot regions, can be optimally carried over a plate carrier thanks to its design. It has a stable QR Roc front buckle , and can be quickly put on or taken off. With the TT Plate Carrier MK IV, Tasmanian Tiger presents it’s proven plate carrier in a version with fast drop system. This features variable adjustability, and the plate carrier can be used with or without the quick release system. The TT Plate Carrier QR SK Anfibia, a “waterproof” version, and the TT Plate Carrier QR LC with laser-cut Molle and interchangeable side parts, also feature QR Roc buckles. In addition, the TT Plate Carrier QR LC also offers the option of using the TT Assault Pack as an integrated back section. The TT Roller SD is a small trolley with 23 liter volume that is intended for air travel with its carry on-friendly dimensions. The backpack can be retrofitted with removable shoulder straps. The trolley also features laser-cut Mole and a separate laptop compartment (15″), as well as a USB cable outlet in the front pocket.